The sound of dominoes being slammed onto a table by the street side sends me flying into a woman walking my way. She shakes her head at me, her hands full of grocery bags, as she walks down Liberty Avenue on a Saturday, while everyone and their grandmother is out buying okra, squash and pumpkin for the upcoming week. To the right of him the aunties are assessing the vegetables at the Chinese West Indian stores – their carts dangerously close to people passing by. The smell of agarbatti hits my nose followed by Shahs Halal on 121st street. 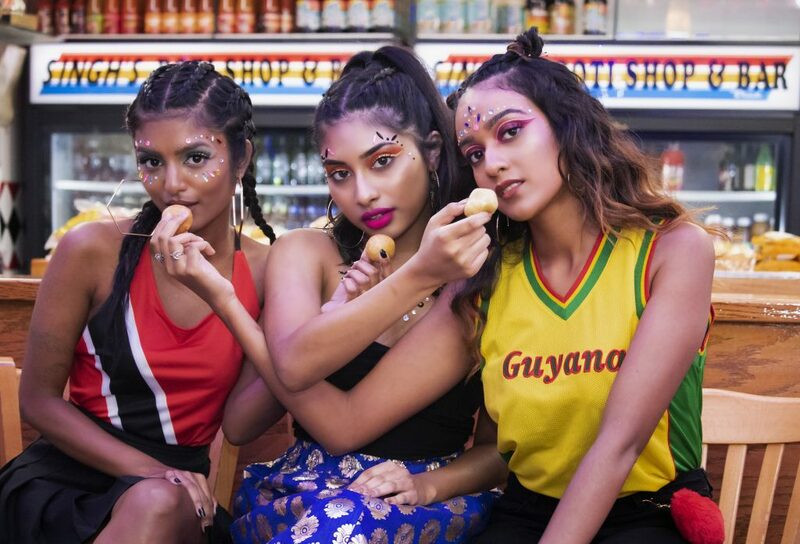 Queens is known to be one of the most diverse boroughs, so here, in Little Guyana, is where many Indo-Caribbeans have come to create their own version of home. As a family, we have often contemplated moving out of the neighborhood, but are pulled back by the availability of fresh produce and transport. I’m sure that’s what we tell ourselves our reason for staying is, but we know it’s actually the comfort of living near other people of Indo-Caribbean descent. To be Indo-Caribbean refers to the groups of East Indians who now have roots in the Caribbean or West Indies. We are surrounded by others who understand our foods and our language, which for Guyana is referred to as broken English. It is actually an English based creole, influenced by African, East Indian, Arawakan dialects and the Dutch language. We hear music like soca, reggae, chutney masquerading through the streets. It is a beautiful and valuable day to day experience considering our culture is not always understood by the rest of the world and sometimes even by ourselves. 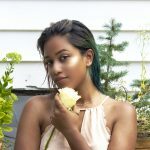 I am a native New Yorker, born in the U.S. but I have an emotional connection to Guyana. I have visited many times and my dad’s parents used to spend time here during the year though they lived and died in their homeland. I grew up with my mom’s parents and was influenced by all of my immigrated family. 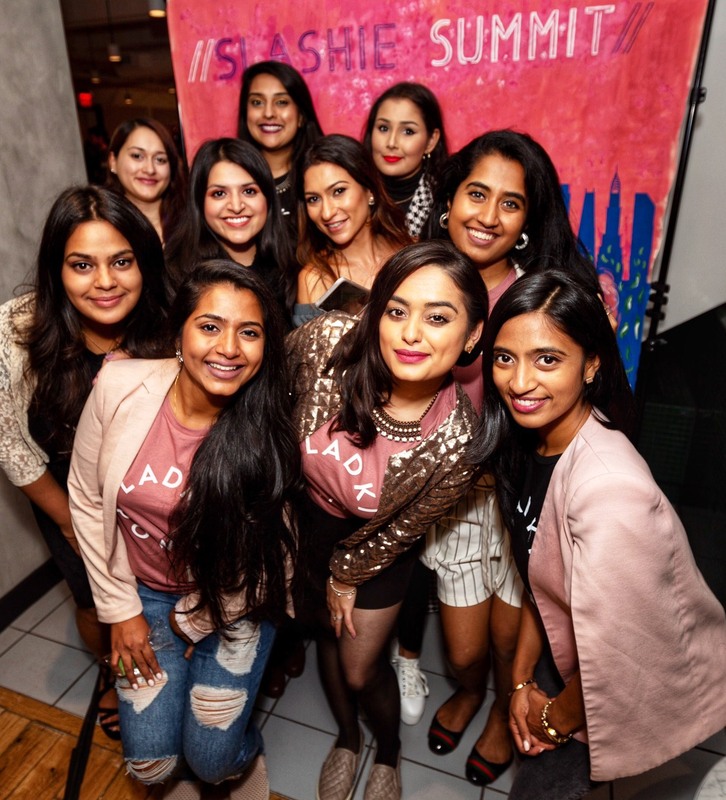 I find comfort in our culture and gained an interest in the history of our people during my college career where I met members of the South Asian community who did not understand the Indo-Caribbean placement in the diaspora. The conversation about what we share with our Indian ancestors and how we’re different was hard to discuss without proper knowledge of these things myself. 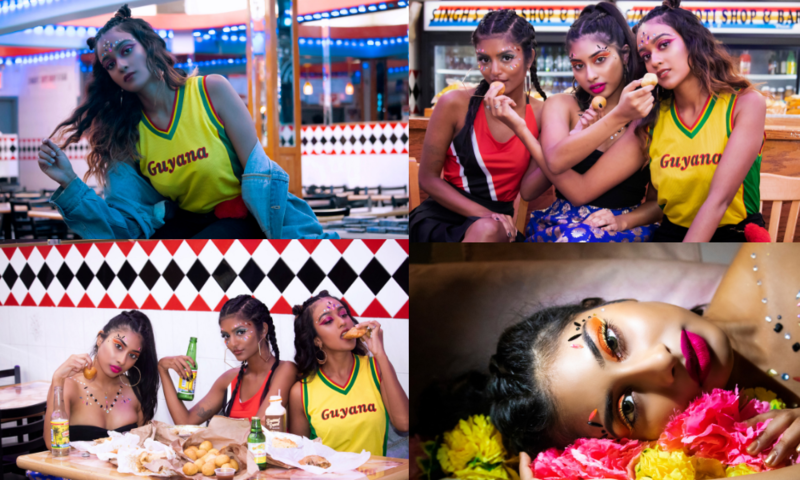 Pursuing this knowledge has led me to create this photo series entitled “Masala, no Chai,” my second series dedicated to visualizing a celebration of Indo-Caribbean culture. This along with my first series titled “Where My People?” aims to showcase the look of our people and how diverse we are, as well as our food and the vision of unity we portray. In a time where identity has become more prevalent to all cultural groups, I believe it is important for us to understand the role our history and displacement plays to our current existence. By understanding and appreciating who we are as Indo-Caribbeans and for some of us Afro-Caribbean, Dutch, Chinese and all other mixes, we can continue to work together as a people to build a positive future for our current generation without losing the parts of us that make us unique. Guyana and Trinidad not only rank number five and nine on the list of total foreign-born immigrants living in N.Y.C. but also rank as the top two countries in the Caribbean with Indo-Caribbean populations. 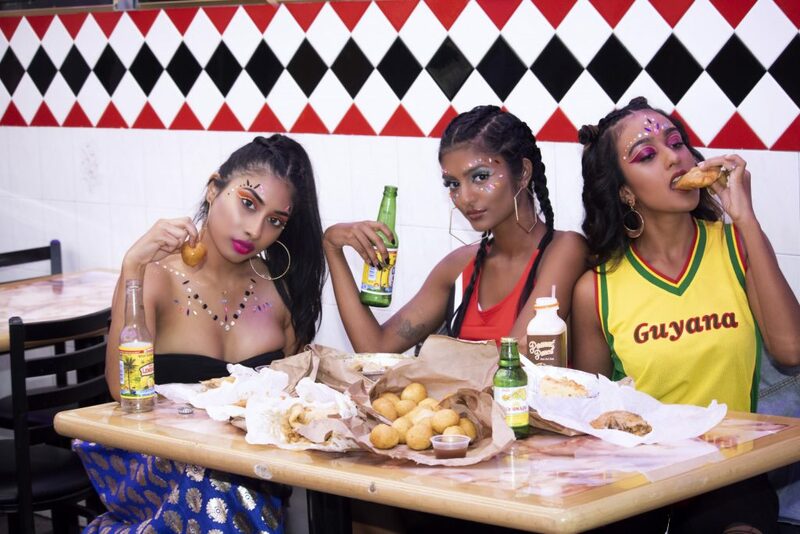 Some Indo-Caribbeans choose to identify with the term West Indian – a term people from the Caribbean use to describe themselves. Even so, we are often grouped together with the South Asian demographic both in terms of statistical identification and cultural norms. Though some Indo-Caribbeans choose to identify as South Asian to reduce complications, our culture is vastly different. Our history is a culmination of past homelands and ancestors of indentured laborers much of whom were living under similar conditions as slavery. They were given the label coolie which is regarded as an “ethnic slur, a reminder to Indians of menial origins and a subtle challenge to their claim to belong,” according to “Coolie Woman” author Gaiutra Bahadur. The first set of “servants” from India arrived in British Guiana during 1836. The practice of using labor from East India then spread to places like Jamaica, Trinidad, St. Lucia, Grenada and the rest of the Caribbean. Jamaica was the first British-owned Caribbean country to gain independence in 1962 and the others followed in the later years of the 20th century. Our ancestors have only recently been freed from oppressive colonial regimes and have looked to one another to patch together pieces of their past as well as build a future in their new lands. CARICOM (Caribbean Community) unites the Caribbean in terms of economic expansion and is located in Georgetown, Guyana. What unites us culturally though is our clothing, food, and love of calypso. Sonia, featured in the portrait above, is Christian Guyanese and in this image, she is featured with a mala, which is usually hung around the bride and groom’s neck at a Hindu wedding ceremony. Christianity and Hinduism are the two dominant religions in Guyana with Islam following third. I am a practicing Muslim though my paternal grandmother and her lineage were Christian (she converted to Islam before passing), my mother was Hindu before marrying and my father, and was one of the first in his family to begin learning Islam in depth. This mix of religions and ethnic backgrounds is not uncommon for various Indo-Caribbean countries. We still face colorism issues within our communities as do all people deeply affected by colonialism, but I believe we have come further in terms of marrying between races and religions. In fact, the mixing of people from African to Indian to Portuguese to Chinese to Amerindians (natives to the land) is what has made the Caribbean countries what they are. Our combined practices and cultural customs have led us to become a melting pot of seven curry when wedding time comes around, pepper pot at Christmas and a good lamb curry during Eid! My clothing choice for this shoot is purposeful, from the makeup to jewel placement to the lone Indian style skirt. When visiting Guyana, Trinidad or any other Caribbean country it is likely that you will find people wearing Westernized clothing. Our elders were not dressed in saris or adorned in bindis. My grandmothers wore a typical frock during the day made of simple cloth. The abandonment of clothing from their homelands is most likely due to the clothing their ancestors had to wear for labor purposes. Outfits like lenghas and shalwar suits were saved for weddings which meant we did not grow up connecting these forms of clothing to our identity. 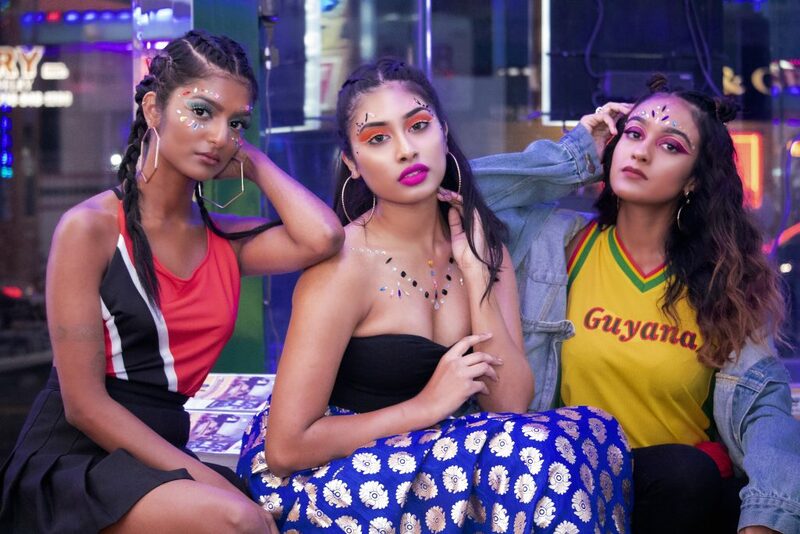 Our lack of a relationship to traditional clothing has been a dividing factor in other South Asian groups understanding our placement in the diaspora but our shift in the way we dress has shaped our identity in the Caribbean. For example, clothing is the one biggest factors in Carnival, which begins at the same time as Mardi Gras. Carnival is our expression of freedom from colonization and celebration of our triumph as a people united. It is believed the first one started in Trinidad and Tobago due to the influence of French and Spanish settlers. If you’re playing mas you’ll most likely be found in a frontline which includes the headpiece full of jewels, feathers, wings, leg and arm pieces, and collars or variations of this look. Your eye makeup would be bright with jewels on your face. That’s the look we associate with our people when we picture them out in a fete – enjoying life and having a good time. The song associated with this photo will make you nostalgic for every good backyard party or wedding reception night! Music is one of the biggest things that unites people in the Caribbean. The song I hear when I look at this photo is by a Bajan soca band called Krosfyah whose iconic tune forever changed the vibe of soca. Soca originated from Garfield Blackman (Lord Shorty) in Trinidad to compete with the popular reggae music at the time –and to preserve calypso. He did so by fusing Afro and Indian beats not only to bring together the sounds of the genre but to unite the people. The song that really pushed the popularity of soca is Hot Hot Hot by Buster Poindexter which is undeniably known by every Indo-Caribbean person and even other people around the world. 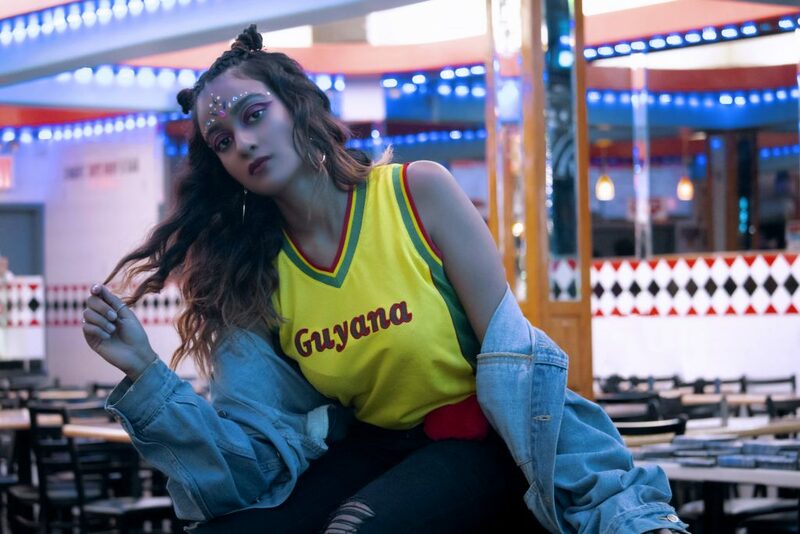 In present-day genres like chutney, dancehall and ragga soca it remains hugely popular among the Caribbean countries. Our music is incredibly lively and ignites an emotion that is unexplainable – just felt to your core. One, if not the biggest dividing factor between cultures, is food! When an Indo-Caribbean person wants to take care of you, chances are they will feed you and not take no for an answer. Lots of foods for us have been transformed into something new, taking elements from our old homeland and mixing it into Caribbean flavors. The first flavors of the lands begun from the Arawak, Carib, and Taino tribes or the natives. They added spices and lemon to their meats and are said to be the ones who created the first pepper pot stew which is now cooked all across the Caribbean, especially during the holiday season. You can also thank the Arawaks for originating the process of BBQ! They were known to slow cook their meat on a wood fire to produce that smokey flavor we know today. Once Africans were forced from their homes to the Caribbean the way we ate changed again because they were limited in what they could use for meals. Always innovative even when they are being oppressed, Africans made dishes out of okra, callaloo, saltfish, ackee, and other items slave owners did not want to eat. Now a popular dish at the roti shop is bake and saltfish! Indian and Chinese flavors became intertwined in these existing tastes after the abolishment of slavery when their labor was brought over. From these influences, we now have things like aloo pie and doubles which is fried dough with either channa or mashed potatoes both topped with tamarind sauce, chutney, and other peppers if you choose. Our lands have literally become a melting pot of flavors and over time the way we cook and the spices we use have become much different than other South Asian foods. Whether you call it oil roti or buss-up-shut, chicken curry or curry chicken, I know we can all agree that the foods from our lands are plate licking good. “The name Guyana is an Amerindian word meaning Land of Many Waters. We are known as the country of six people – Africans, Amerindians, Chinese, East Indians, Europeans, and Portuguese,” according to CaribZones — I used this fact to summarize the overall theme for this shoot — that we are a people that come from so much more than we can explain. Half of my family resides in Guyana and the other half, for the most part, lives in N.Y. which I feel like could be symbolic of how we may view ourselves – half and half. We are a generation placed with burdens that are unique to both our diaspora and migration. Though we have formed identities cultivated around the American culture it is safe to say that most of us have clung onto things that remind us of a home we may or may not have experienced but still feel a strong connection to. My memories of visiting Guyana are some of my most fond if not my favorite things to reminisce on. We all piled into my grandma’s house in Mahaica sleeping out on the floor, traded scary stories about old higues, fire rasses and backoos, drew on our male cousins faces while they slept, took trips in my uncle’s bus to Splashmins and Georgetown, and rode on sketchy boats across the Demerara to Berbice. I could list so many more things but the basis of it is my sisters and I were blessed to have childhood experiences with our family that I hold onto dearly, and we had a chance to connect with a beautiful land. There are a lot of social issues that plague our country and the countries of the Caribbean. We have much to build and work on for the current generation, things we can address so our older generation can come to terms with their traumas and shortcomings, and things that we can accomplish for the future of our people as we try to find our place in this world. We have also come further as a people than we have given one another credit for considering the diverse shifts in placement we have incurred over a small amount of time. In just about 200 years we have gone from lands we can’t necessarily trace, to the West Indies, to places like the U.S. and Canada. Though the people of our diaspora can be found all over the world, we remain connected through the aspects of this photo series and live a life that reinforces the Caribbean mantra of love and unity. Sharifa is a Queens photographer of Indo-Caribbean descent. Her mind is always running wild with new ideas and concepts that she makes come to life with elaborate set creation, specific wardrobe and thought out aesthetic. She creates in hopes that it will inspire other women of color to pursue fields of work that are considered taboo culturally. Aside from photography, Sharifa is passionate about issues that affect humanity as a whole and enjoys working with various organizations that approach these issues on a micro scale. She enjoys fried eggs, symmetrical architecture, and long walks on the beach. Also the oxford comma - much love for that too.